Are you having problems with your garbage disposal? When you require garbage disposal repair in Los Gatos, CA, call us at Rosenthal. 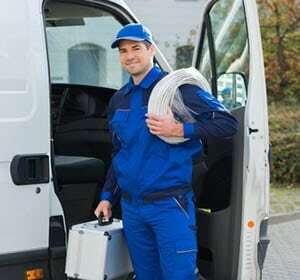 An experienced plumber in Los Gatos will get to you as soon as they can, check out your garbage disposal, and let you know what the plan is to get it working again soon. We know that you need your garbage disposal to work well so you can thrive at home, and we will do everything we can to get it back up and running again soon. Sometimes, it’s in your best interests to replace your garbage disposal rather than to repair it. It might be old and we may see additional signs of breakdown in addition to the problem you need to have repaired. Other times, the garbage disposal repair in Los Gatos is going to cost more than you would spend if you replaced it. And sometimes your garbage disposal just isn’t installed correctly and we can’t fix that. If this happens in your home, we’ll always let you know. We strive to be straightforward and upfront with you at all times, so we’ll tell you if we think you should replace your garbage disposal rather than repair it. We can even help you pick out a new one, and then we’ll get it installed properly for you so you don’t have to worry anymore. We will get your garbage disposal repair in Los Gatos done as soon as we possibly can, so you can get back to your everyday life. Let us take the stress and strain of these repairs away from you since we know you have more important things to focus on!